We review the Samsung PRO Endurance MicroSDXC Memory Card, designed for continuous use applications, including surveillance cameras, dashcams, body cams, and more. We review the new Samsung EVO Plus MicroSDXC memory card with SD adapter. We review the high capacity Samsung EVO Plus 256GB MicroSDXC memory card. 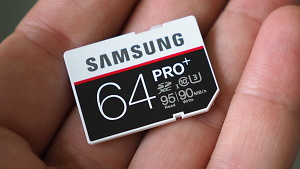 We test this high speed Samsung PRO+ SDXC memory card to see how it performs. We test this high speed 32GB compact flash card to see how it performs. We review the new high speed and high capacity MicroSD cards from Samsung, the 128GB EVO+ and 64Gb PRO+. 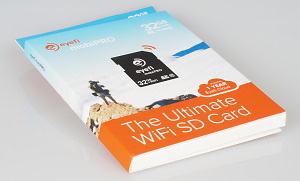 Add Wi-Fi to any camera with the Eyefi Mobi PRO, and then backup your images to the cloud. We test the Samsung PRO EVO SDHC MicroSDHC memory cards to see how these tough cards perform. Daniel Bell reviews the Eye-Fi Mobi memory card, it allows you to take pictures on your camera and transfer them via Wi-Fi to a smartphone or tablet. We review this high capacity, high speed CompactFlash memory card, with UDMA7. 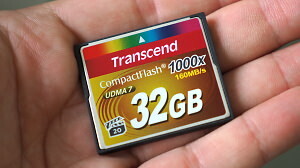 We test the 1000x Transcend Compact Flash card to see if it's as quick as they say.